Kurs będzie prowadzony w języku angielskim, wymagana jest znajomość języka angielskiego w stopniu min. komunikatywnym. W związku z użyciem profesjonalnej terminologi filmowej na miejscu będzie osoba tłumacząca. 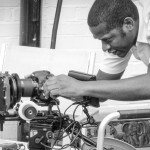 Camera Acting Workshop is a practical course for prospective and current actors and directors in films and TV. The course is led by Paul Williams – director, DOP and editor and Sylwia Kaczmarek – Meisner trained actress, Meisner teacher, director. Directors may participate in the workshop as observers. An actor who can be truthful in front of the camera and at the same time knows the technical aspects of camera work is very employable. This workshop is devoted to these technical aspects, providing actors with the basic skills they need to know to work in film. Acting for the camera is a crucial skill for actors who can already deliver an honest performance. Often some shots with a great performance cannot be used in a film because the acting was not accurate for the frame size, the continuity was wrong, the movements were too fast, or the eye-line was too wide or too rigid. Don’t let your best work go to waste in the edit suite simply because you are not aware of the technical aspects of working with the camera! Our four days are filled with practical exercises. After each exercise we will watch the material and you will receive feedback to help you improve in the next take. • What are your natural habits on screen? How can you use these (or not) for certain characters? • Acting in a range of shot sizes, the eye-line for various frame sizes, hitting the mark, taking directions, continuity. • We will wrap this part of the workshop with filming a simple scene so you can apply what you’ve learned over the two days. Days 3 and 4: Work on scenes which you have chosen and learnt beforehand. • Warm-up: working in close-up. We will discuss what happens in your prepared scene and help you to stage it including the movements. • Watching back the material followed by feedback and discussion about the achievements and areas for improvement. 12-13 July – 12 th July 5-10pm , 13th July 10am-3 pm – Camera Acting 2nd level – for actors who attended Camera Acting Level1 in 2017, 2015r, or 2013.